We are so delighted to have a fruitful harvest of figs a couple of weeks ago. 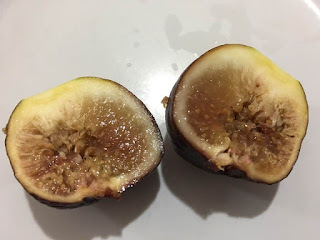 To us harvested 5 fig fruits in a day meant a lot as compared to other fig planters. 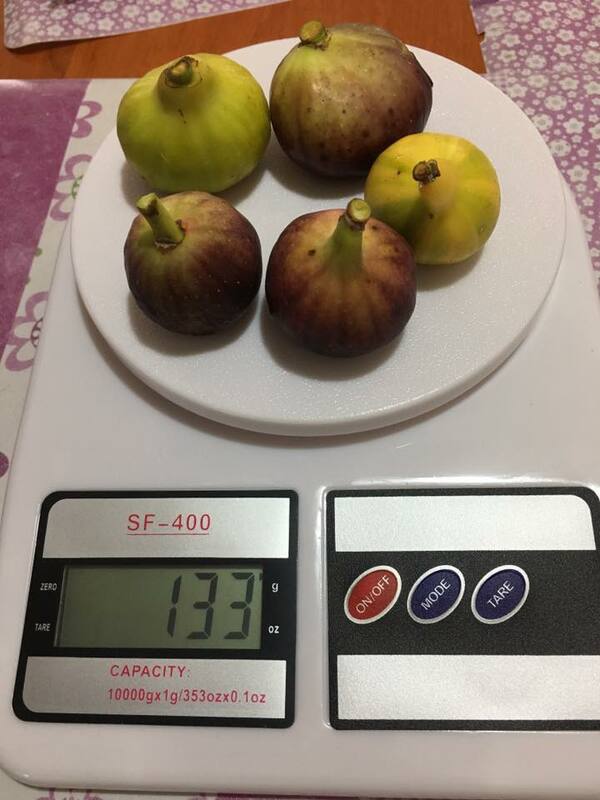 The total weight of the 5 figs is only 133g. I bought this weighing scale from Lazada just to weigh my fig fruits..This is the most fruitful harvest so far. 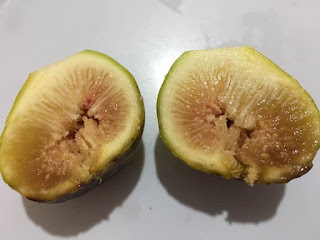 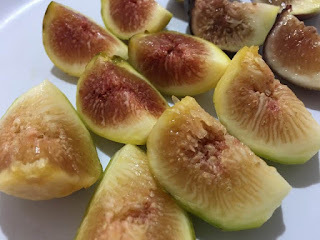 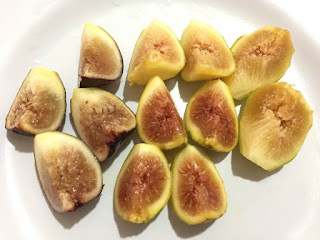 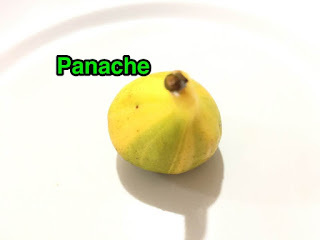 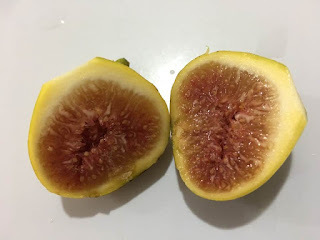 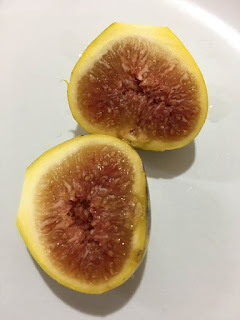 The varieties of these figs are a combination of white (actually yellow) and black figs. 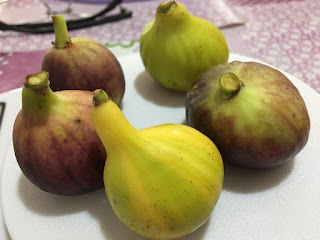 The white ones are Panache (the one in front with its unique stripes of green and yellow) and Louisiana University Gold (at the background). The black varieties are IBG (Ipoh Blue Giant) and Barnisotte. A plate of nutritious figs. After tasted all these varieties, we gave Louisiana University Gold (LUG) many thumbs up and followed by Panache.